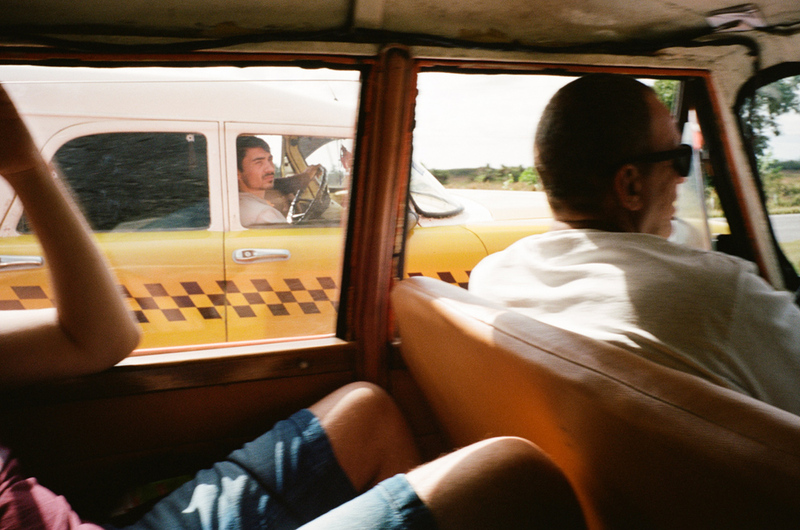 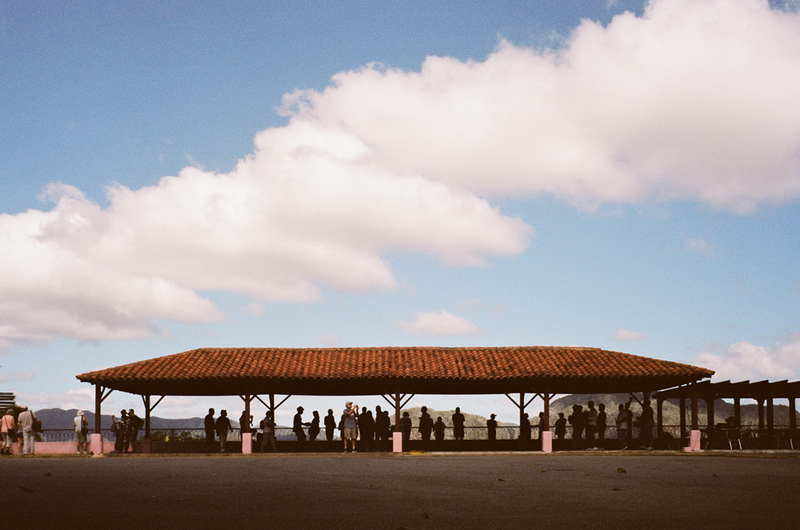 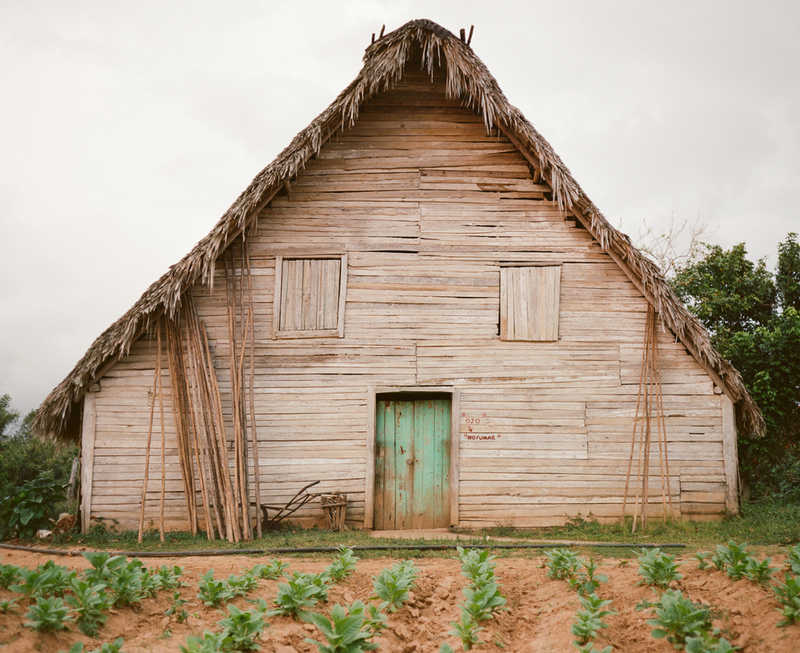 Hundreds of hands, wooden beams, governmental oversight, communal heartbeat, slow curls of smoke & Viñales. 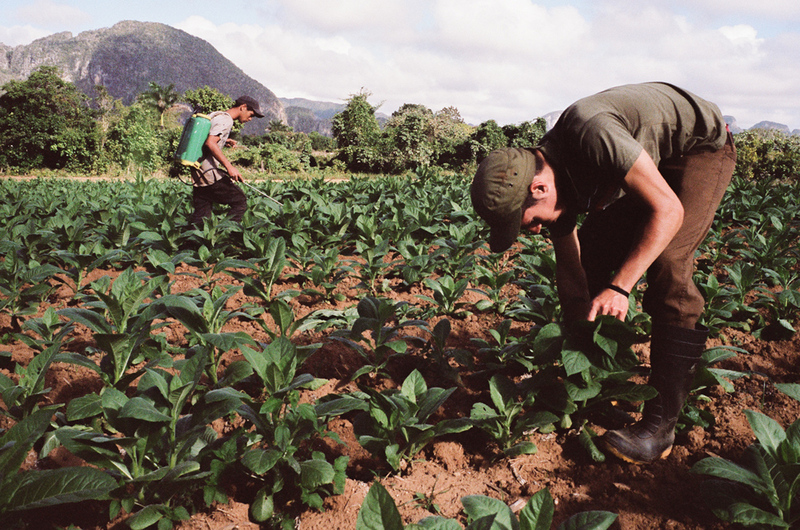 The work link between human hands and soil has been around since the beginning. 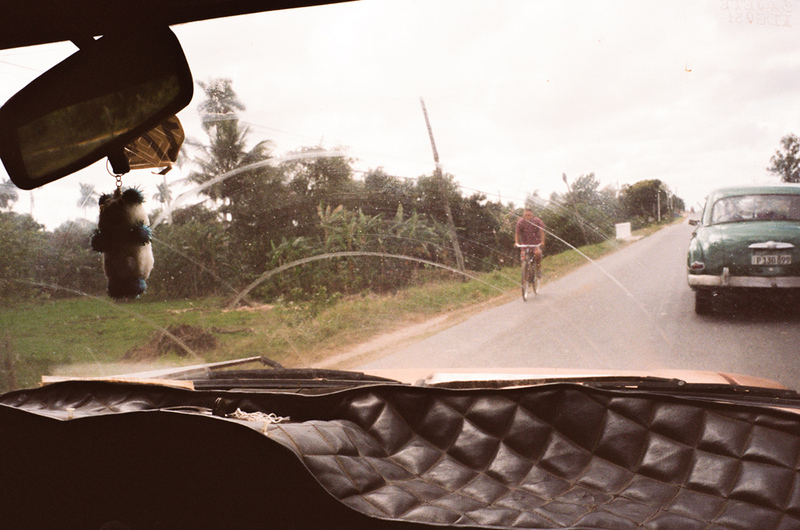 In mechanized automation, this world dynamic is increasingly rare. 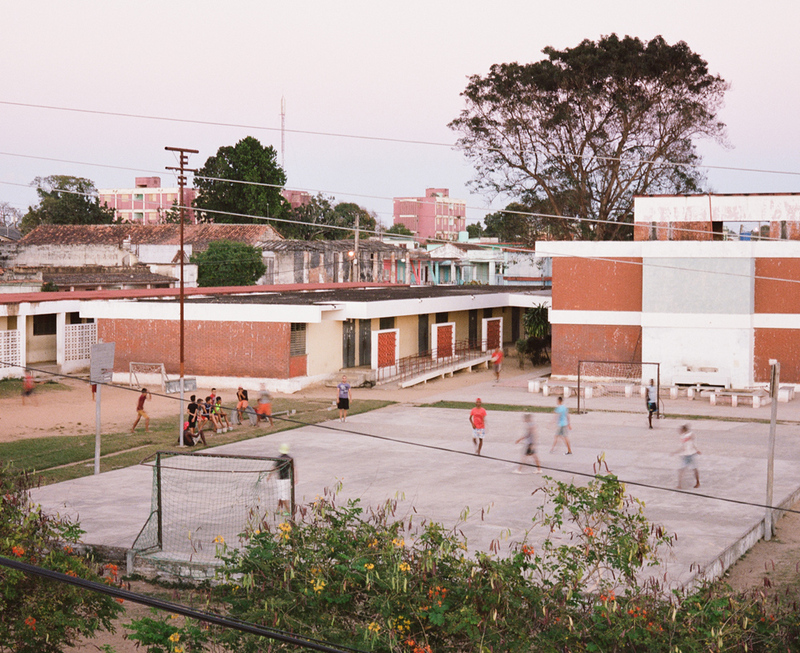 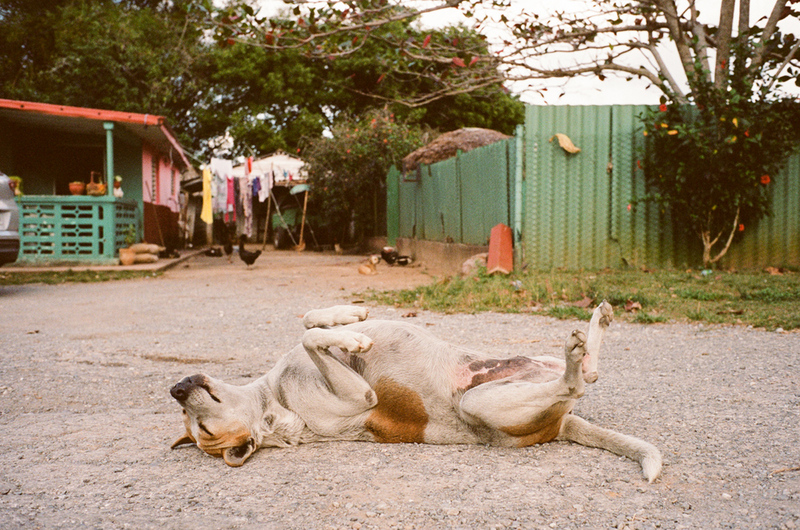 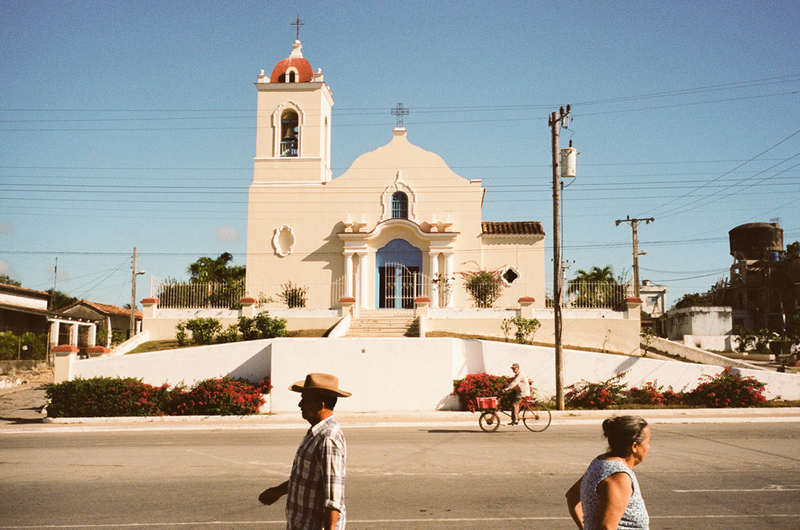 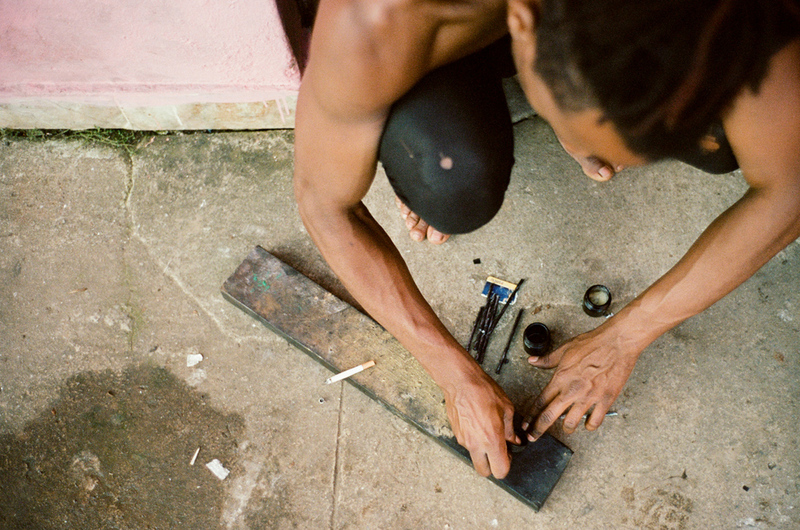 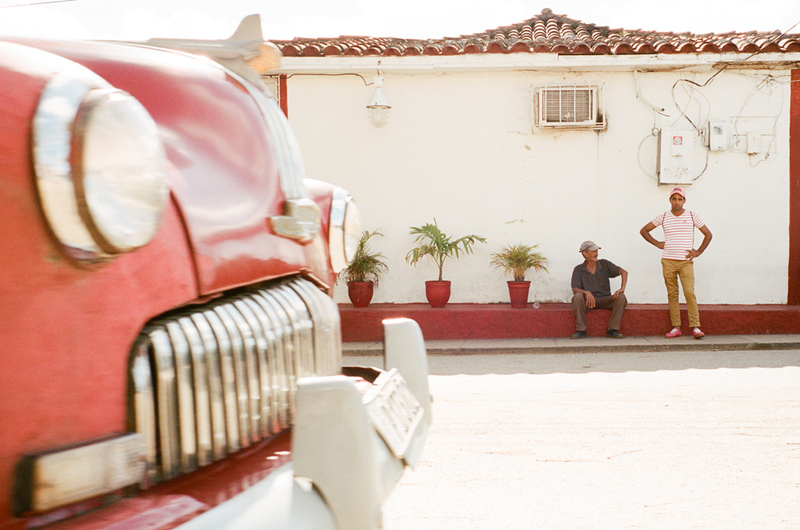 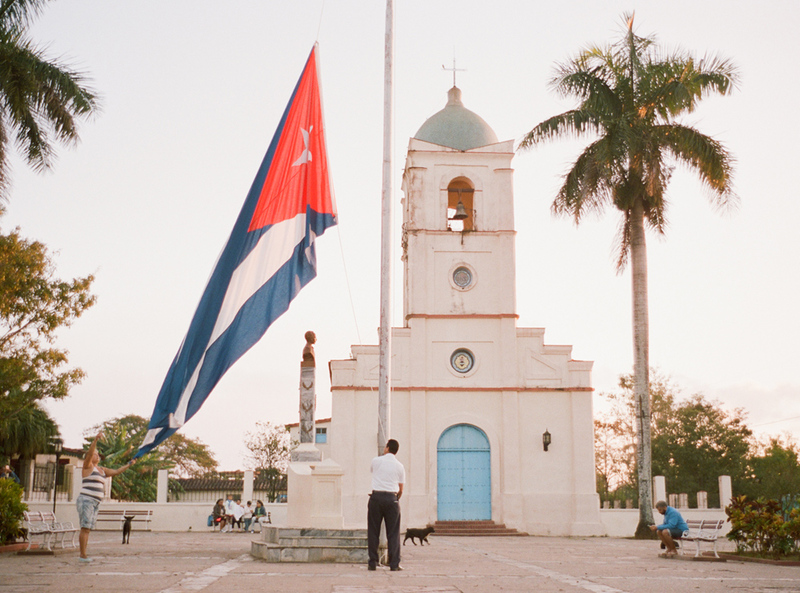 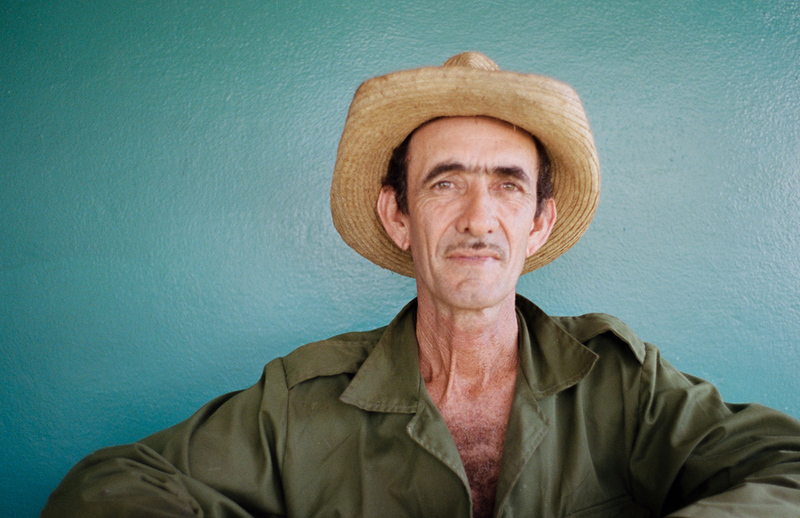 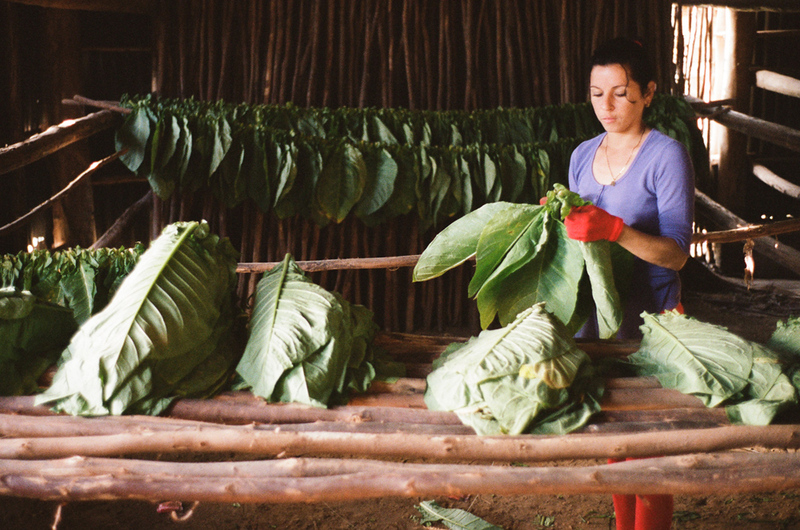 In Tobaccoland—Pinar del Río, Cuba’s westernmost province—where fine leaves are guided into slow curls of smoke, we witness this old romance. 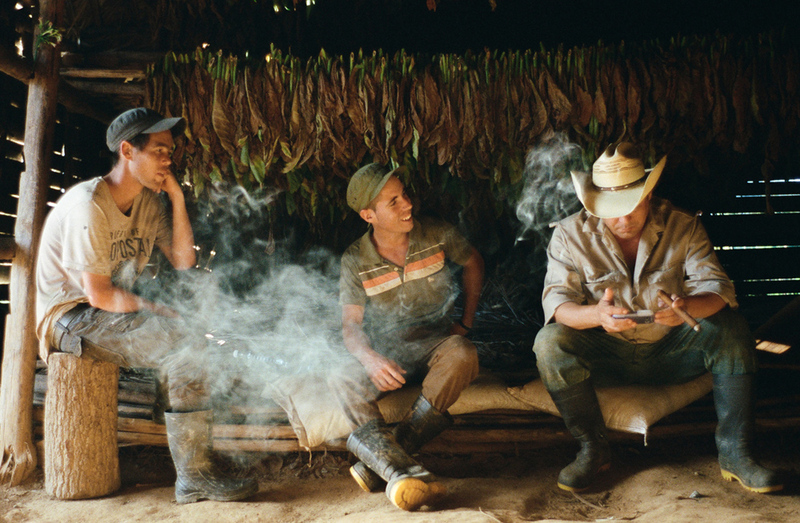 In Cigar Journal, a respected tobacco publication, it’s said a cigar touches two hundred hands before it is lit. 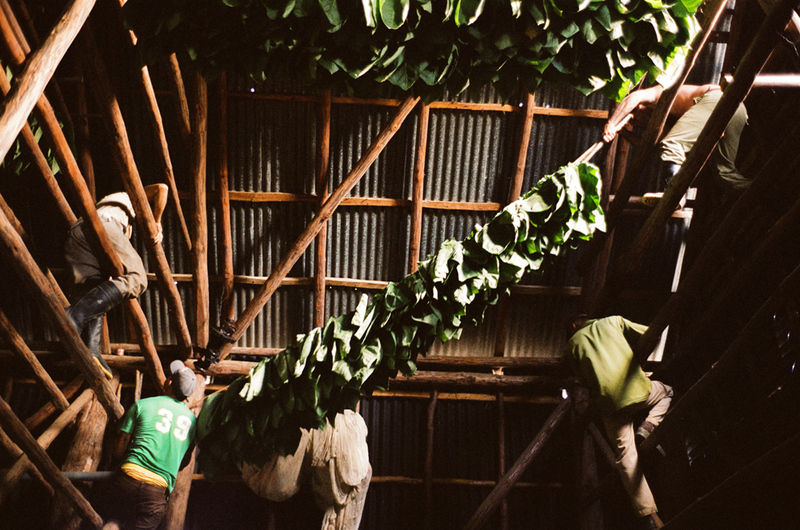 The arc is long, from early spring, during the planting of seeds, through the cultivation until late winter, when the leaves are handpicked, brought into the drying houses, hand-threaded together to a long wooden beam, then hung up in the rafters to dry for three months. 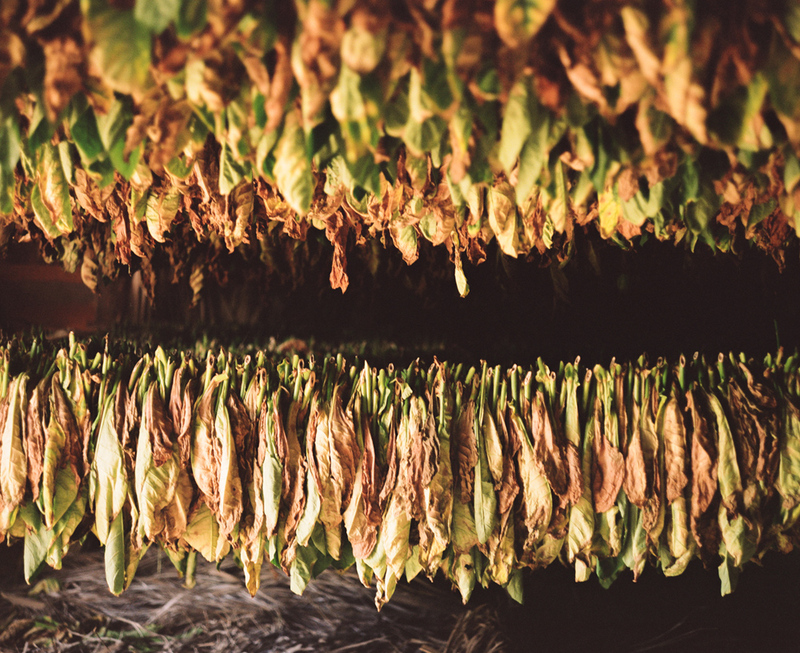 The tobacco is then packed and readied for the government, which dictates all the transaction numbers, as it’s normal for them to take ninety percent of the entire crop. 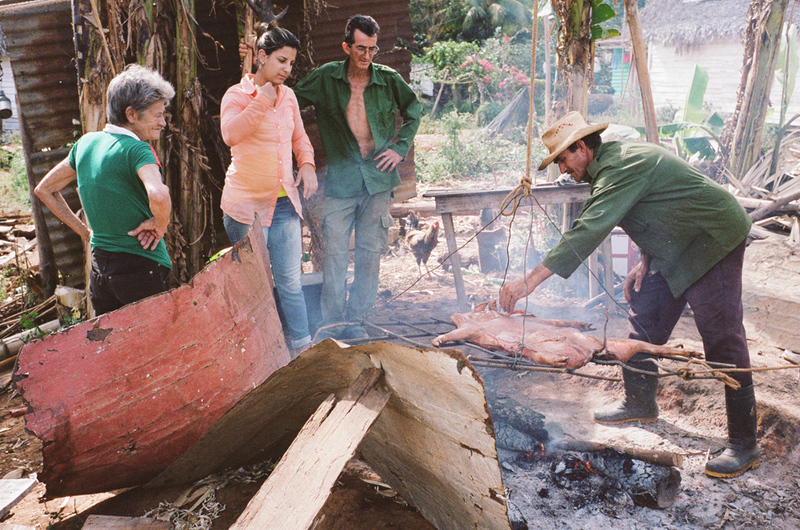 The remaining ten percent can be used however the farmers like and is primarily sold to tourists. 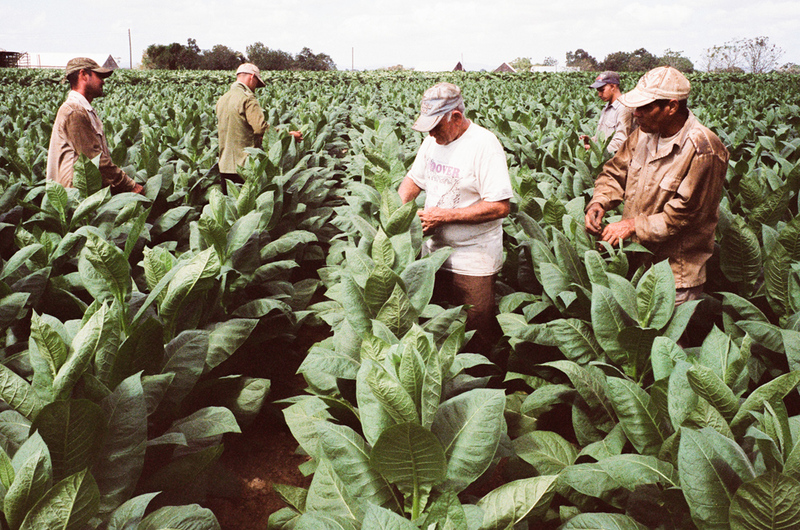 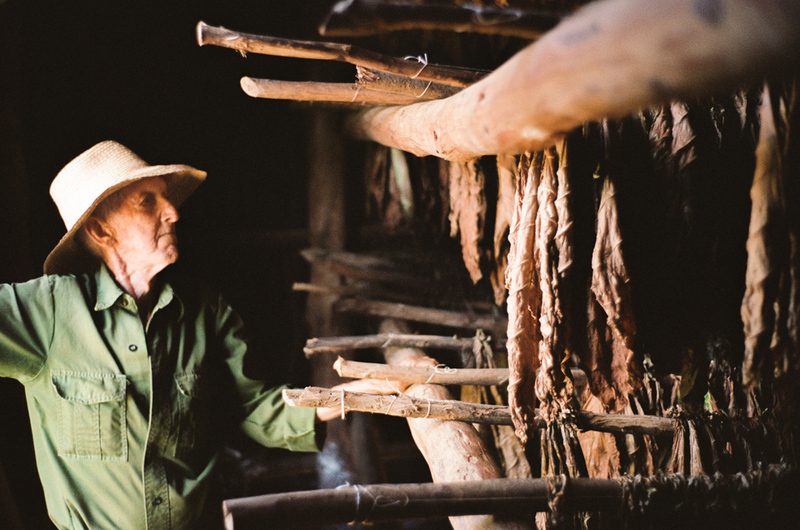 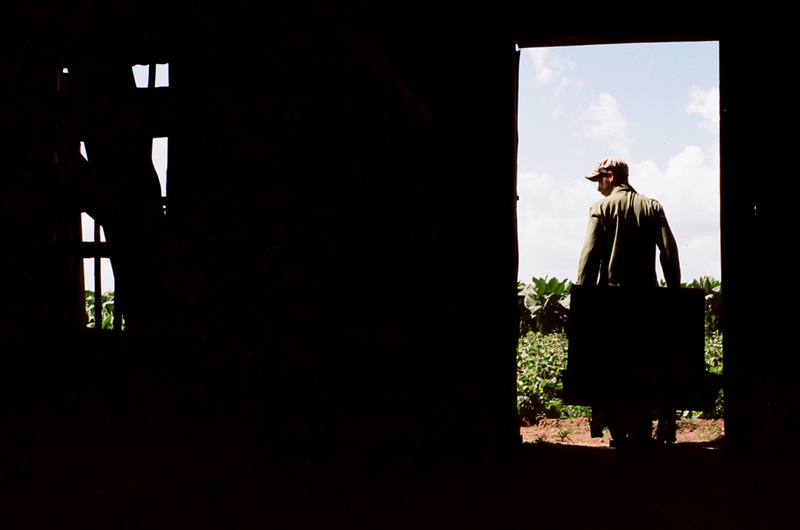 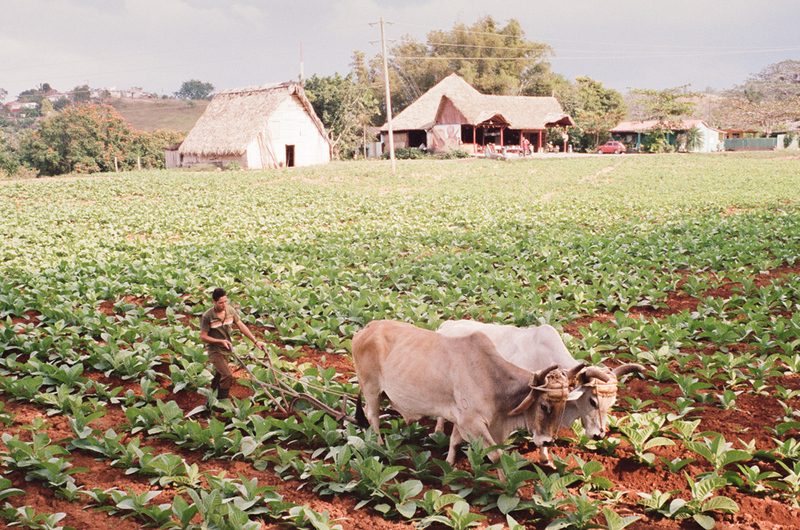 After the tobacco leaves the farm, there are many other steps before it is placed for sale in shops worldwide.